Venus Retrograde March 4 2017 - Time To Value The Right Things! Venus Retrograde March 4 2017 – Time To Value The Right Things! 3..1Clearly the most delicate case is the one related to the shaky romantic relationships as it is with retrograde Venus, because of its reflexive stress, we are more likely to seek the values that underpin the relationship and become more aware of the problems and irreconcilable differences. The moments of retrograde motion of the planets are important moments of contact with the inner world as it is during these periods that their proximity to Earth is maximal. What changes, from one planet to another, it is the duration of this period and therefore the effects. Mercury and Venus are two inner planets to the orbital path of the Earth around the Sun and that’s why astrology, which takes on the geocentric point of view, considers them, along with the Moon, related to the mind and the intelligence. Concerning the phenomenon of retrogradation, while Mercury makes at least three retrogradations during the year, of the duration of 20-24 days, Venus becomes retrograde once every 19 months, with a duration that varies between 5 and 7 weeks and is the most rarely retrograde planet. Venus and Mercury are essential, in their retrograde moments, for the development of self-awareness, our thoughts and our self worth. They are the psychic agencies that allow us to measure the world. Venus, in astrology, is a symbol of the human capacity to appreciate what life gives, to savor and enjoy the pleasures and relaxing moments, preferably immersed in the beauty. It’s thanks to the whisper of Venus that we realize how sweet the song of birds in spring is, or as a landscape can transport us into a state of mystical mood. And it is always in the Venusian relaxation that you can notice the affection and happiness that emerges from social contacts, these issues very dear to cosmic love goddess. It’s by means of Venus that we are able to appreciate the beauty of art in all its forms. Venus indicates what we want for ourselves, which acquisition promises joy and satisfaction, and what is expected from social interactions. Venus-magnetic power is, therefore, to attract the experiences (especially those loving and affective) in order to understand something more of ourselves. But Venus, the foundation of their personal values, is also an indication of what we do not want in which case it keeps it away. Depending on the sign it expresses in different temperaments, but the goal is the same: to get what it considers “good” and a source of happiness. At a more ground level Venus speaks of our pursuit of pleasure, both physically and mentally, through sexuality. The way in which this will happen depends on the sign of the birth of Venus, from the house it occupies and the aspects it creates with the other planets. In the Indian astrology Venus can subdue and influence the demons (Asuras) through seduction and charm. When Venus becomes retrograde it opens a temporal brackets during which you can make an assessment of some decisions of the past and it is in these moments that are more likely to ask whether “it is really worth it?” well it is a budget now affectively and it is during these weeks that one might ask whether what has been achieved so far is what we really wanted to get. And this is a difficult question especially since it reveals the true personal values, beyond the convenience and expectations, beyond the calculations and strategies, focusing on the pleasure principle and the pursuit of gratification. The lesson related to this transit is linked to the value that is attributed to things in our life, and when this value is unconscious, or moved by the “other” without foundation and soul, away from our path, it is possible for some problems to emerge, and we have to face them. Clearly the most delicate case is the one related to the shaky romantic relationships as it is with retrograde Venus, because of its reflexive stress, we are more likely to seek the values that underpin the relationship and become more aware of the problems and irreconcilable differences. 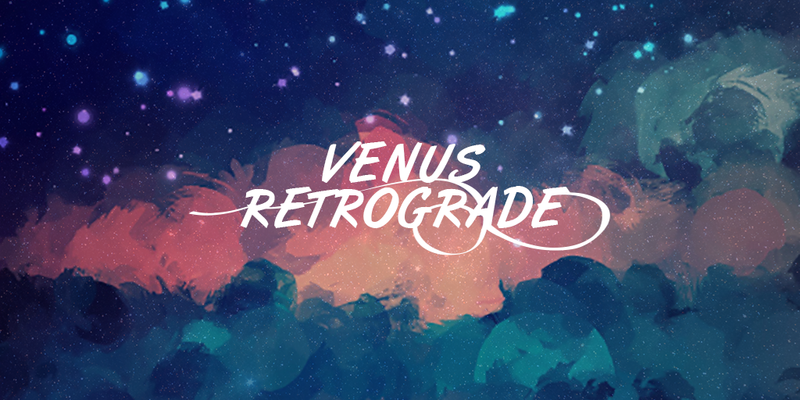 Venus retrograde requires a revision of the relationship, also aware that the perfect one does not exist. A crisis is not necessarily signal that the relationship will end. The outcome depends on several factors, chief among them the ability to get off at mediating compromises between our own needs and those of the partners. Emerge the hidden desires and this will be the fuel to rekindle the passion. Venus is directly connected with the world of desires, although it is not assertive in the conquest of what we want (if anything seduce Mars and “talk” to give him the things), when it becomes retrograde behaves less peaceful and friendly: it is with retrogradation that we can see the dark face of the goddess who can take on the characteristics of the controversy, the excessive self-indulgence, laziness and compulsion especially in shopping, maybe of antiques. If Venus is particularly strong in the theme of birth you may present an opportunity to get the things you want is a lot in the past. As with any retrograde, with Venus it is better to defer decisions and limit ourselves to reflecting only, until the planet gets back forward.